It is very common to resort to conventional medications for pain and respiratory relief. Antibiotics are a common prescription and although effective at killing off some bacteria they are of no use against viruses. They also weaken the immune system leaving you more susceptible to further illnesses. There is however, a more effective natural approach to treat colds and flu – and that is to strengthen your immune system. 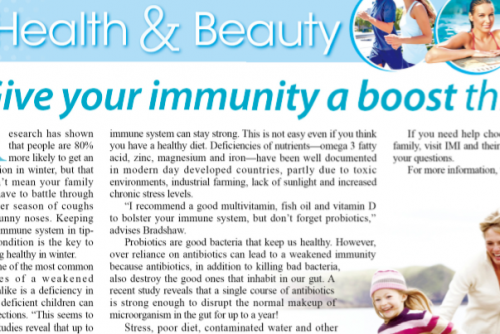 Boosting your immunity not only helps you stay healthy it can help shake off colds and flu more quickly. At IMI we support a natural and holistic approach to colds and flu and can advise on some simple steps to reduce your risks of catching a bug this winter. We can recommend herbal, dietary, complementary, and natural therapies to treat a viral infection. 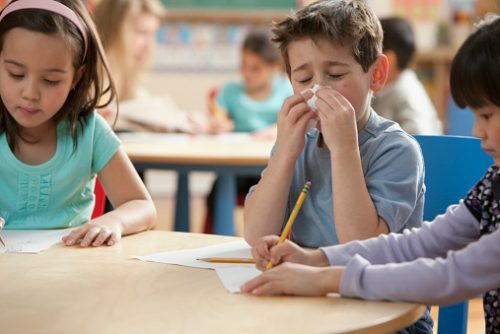 Colds and influenza ("flu") are common infections that affect the upper respiratory tract, including the nose and throat. It is caused by different types of viruses such as rhinovirus, influenza, and adenovirus. These viral infections are usually transmitted when an infected person coughs or sneezes and spreads contaminated droplets through the air. Infections may also be spread by direct contact with the infected person or his or her personal effects. In Hong Kong flu can be particularly nasty and virulent with some fatal epidemics. With increased sensitivity to flu, symptoms can quickly worsen into chest infections and pneumonia. It has even been known for schools to close during an epidemic to ensure “social distancing” and a shut down of the chain of infection. Symptoms of the common cold usually resolve in 7 to 8 days but flu can extend to 2 weeks and beyond. For the common cold apart from the obvious adverse weather conditions, humid atmosphere or sudden changes of weather, it is the immune system that plays a fundamental role in the susceptibility of getting sick and in the length of time our infections may last. One of the more common but often neglected causes of a weakened immune system especially in children, is vitamin D deficiency. This is not unusual in say, Hong Kong where air-conditioned environments and shaded windows keep out the sunshine. Research shows that those who are deficient in vitamin D have nearly twice the frequency of colds over the winter months. Seasonal influenza, better known as the flu and not the same as the common cold. It is a contagious respiratory illness caused by flu viruses. Most healthy adults recover within two weeks, but high-risk groups, especially children, the elderly and those with chronic illnesses can develop complications such as infections of the upper or lower respiratory tracts or pneumonia. In the worst cases, it can result in death. According to the World Health Organisation, annual influenza epidemics are estimated to result in about three to five million severe cases, and about 290,000 to 650,000 deaths globally. In the case of flu, there are four types of virus: A, B, C and D. We are mainly affected by the pandemic-causing type A and type B strains. Having a balanced diet is very important to build long term immunity as well as the right amount of sleep and avoiding excessive stress. However, with deteriorating soil quality, imported foods, and the added environmental stressors of living in a city like Hong Kong, it is very difficult to achieve adequate nutrients from diet alone. 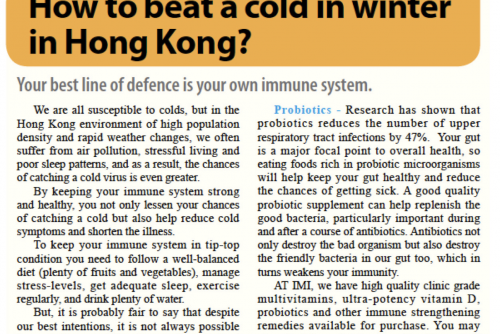 We at IMI can recommend good quality supplements to help strengthen your immune system. Our naturopaths can combine several vitamin and herbal treatments with a homeopathic remedy, which is one of the most popular holistic systems of medicine. If you already have a cold or flu, then we can recommend a range of supplements & practises to help overcome the symptoms: potent medicinal herbs, clinical grade supplements (e.g. 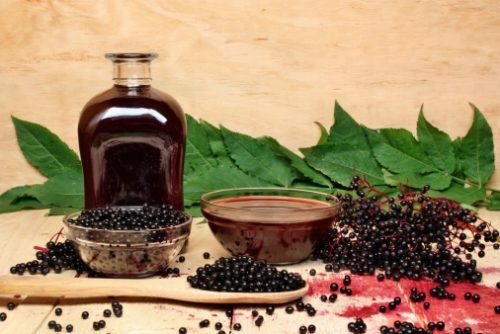 vitamin D, elderberry extract, fish oils.) If the viral infection becomes bacterial, however, a more targeted treatment with more potent herbs may be prescribed and as a last resort, a course of antibiotics. Ideally the specific strain would be identified and the antibiotic prescription targeted with particular focus on re-building the immune system with good quality probiotics and other remedies along the way. As well as supplementation, therapies such as osteopathy is incredibly effective for supporting recovery and healing. Even if you (or child) has a simple cold or cough gentle techniques can help to support the lymphatic and respiratory system, alleviating symptoms and speeding recovery. Chinese traditional medicines is also effective treatment for cold or flu. From a TCM perspective, cold and flu occurs from an external pathogen which enters the body, this means that the body may have a weakness or immune deficiency that weakens one’s resistance (overwork, not sleeping, eating poorly, etc.) and allows a pathogen to attack and enter, causing disease. If you would like to book a consultation to understand how you can boost your immune system and beat those bugs, please make a booking with one of our naturopaths or Traditional Chinese medicine practitioners. Call 2523 7121 or fill in this enquiry e-form to make an appointment or enquiry. At IMI we also have a wide range of clinical-grade, highly potent and premium quality supplements. You can visit our dispensary in person and many are available to buy online.